Relax and enjoy morning coffee with a slice of homemade cake, a freshly prepared lunch or an afternoon tea in the tranquil ambiance of Gallery Café, located inside the wonderful Rutland Arms Antiques Centre. We use the finest ingredients in all of our products, which is made easier by supporting our local suppliers. We pride ourselves on our homemade cakes baked with love and care. Using personally selected ingredients, including real butter, free range eggs and top quality Belgium chocolate. We bake sultana scones fresh every morning to ensure the best quality and experience for our customers. We offer takeaway service, and also cakes to order if you require a full cake. 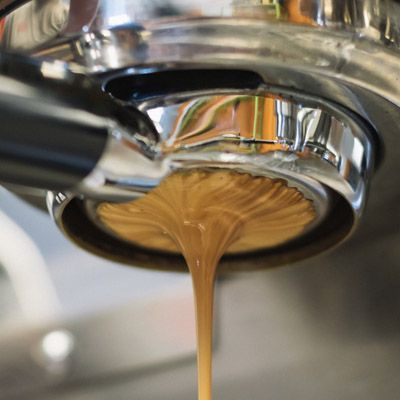 Our coffee is becoming widely known as the best coffee in Bakewell, that is because we maintain the high standards of our Barista training and care about every cup we serve. We use Saquella coffee beans sourced from Italy which are a delicious blend of Indian and African beans and we grind them fresh each day to ensure the best taste. We serve our coffee ready to drink. Our regular size made with one a singe shot, large size made with a double shot and high quality decaf coffee is also available. An espresso shot topped up with hot water. Made up of 1/3 espresso, 1/3 steamed milk and 1/3 micro-foam. Topped with chocolate flakes. An espresso based drink with steamed milk and topped with micro-foam. This is a strong milky coffee made up of 1/2 espresso and 1/2 steamed milk. A pure shot of espresso coffee. This is similar to a latte but a delicious shot of our dark or white chocolate Monin sauce is added. We serve 'Great Taste' award winning Novus whole leaf teas enclosed in a biodegradable pyramid bag. This Egyptian Mint leaf dating back to the pharaohs is a hearty caffeine-free peppermint tea. Served on white or granary bread with a seasonal salad, a side of homemade coleslaw and salted Pipers Crisps. We also offer glutten free pita bread with your choice of filling. Perfect for celebrating a special day, or just to have as a special treat! A drink of your choice, a selection of savouries, a selection of homemade cakes and a homemade cream scone.